There's a fine line between helping your child move toward a healthier weight and lowering his or her self esteem, which can actually increase food intake among children. Knowing how to help your child shed pounds in an encouraging way is the key to your little one looking and feeling his or her best. Keep in mind children's BMI is determined using height and weight, so if your child is very muscular, he or she may have a high BMI but still be healthy with a low body fat percentage (therefore doesn't need to lose weight). Your doctor can help you determine if your child is indeed overweight or obese, or simply muscular. Each child is different, so it can be difficult to determine how many calories he or she should be eating. The Dietary Guidelines for Americans offer the following general calorie requirements for kids. Are Low-Calorie Diets Safe for Kids? It's generally not a good idea for kids to drop below minimum calorie recommendations because of the risk for nutrient deficiencies, difficulty concentrating at school, fatigue, and the potential for stunted growth. However, there are exceptions, such as if disease risks outweigh low-calorie diet risks, which is why a doctor's advice is so crucial. 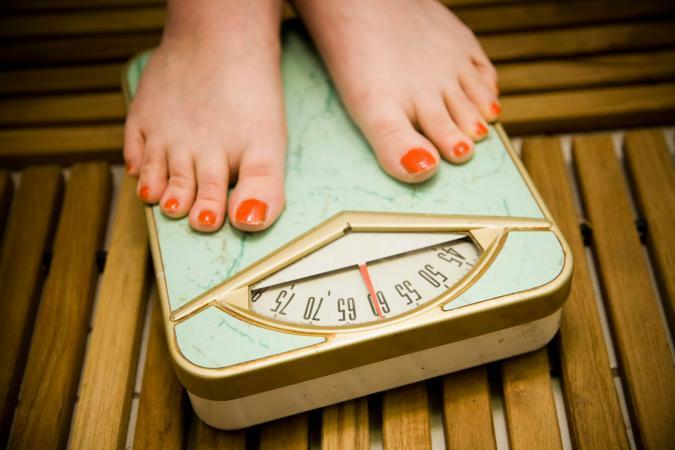 Check in with your child's doctor to determine if weight loss is appropriate. Many times, growing children should simply maintain their current weight and grow to "grow into" that weight. However, for older kids and teens, your doctor may recommend weight loss at a slow pace (1/2 pound to 1 pound per week). Because getting too few calories can negatively impact children's nutritional intake, growth, and development, a doctor's recommendation is crucial when it comes to childhood weight loss. A few simple strategies can help your child make healthy eating choices without feeling like they are (or need to be) on a diet. Many American children don't get recommended amounts of these two important nutrient-dense food groups (fruits and veggies). Encourage your child to fill half of his plate with fruits and vegetables as recommended by the U.S. Department of Agriculture. Encourage your son or daughter to pick a healthy protein food at each meal and snack as protein helps boost satiety. Grilled chicken breast, fish, beans, peas, nuts, seeds, low-fat cottage cheese, Greek yogurt, protein smoothies, protein bars, low-fat milk, reduced-fat cheese, protein-fortified almond milk, soy milk, eggs, tofu, and veggie burgers are all excellent options. When filling up their plate, a quarter of the plate should be protein foods. Help your child understand the difference between whole and refined grains. Whole grains include oatmeal, whole-grain cereal, whole-grain bread, brown rice, whole-grain pasta, and quinoa. Refined grains include white foods, such as white bread, white rice, regular pasta, and baked goods. One fourth of your child's plate should be whole grains. Your child's dietary fat intake should be from nuts, seeds, nut butters like peanut butter, avocadoes, olives, and plant-based oils. Steer clear of lots of extra butter, gravy, regular cheese, cream, other full-fat dairy foods, and high-fat meats like bacon, deli meats, hot dogs, and sausage. A good tip to give an overweight child is to drink water often (at least every 20 to 30 minutes) throughout the day and drink 1 to 2 cups of water before meals to help boost satiety. Help your child pack water bottles in their school back pack. Put ice cubes in each on to keep it cool. It's tough to throw out junk food from your pantry, but doing so means your child won't have access to it when he or she is at home. Throw away chips, fried foods, processed frozen foods, pizza, bacon, deli meats, sausages, white bread, white rice, sugary cereals, chocolate granola bars, chocolates, cookies, chocolate milk, candy, ice cream, cakes, and other baked goods. If your child is craving something sweet or salty, choose nuts, pretzels, fresh fruit, or dried fruit instead of junk food. Sugary drinks can significantly hinder a child's ability to move toward a healthier weight, so steer clear of offering your child beverages like soda, lemonade, and sweet tea. Even juice is high in sugar (and contains few beneficial nutrients), so limit it or avoid it altogether. Choose water (or low-fat/fat-free cow's or calcium-fortified plant-based milks) instead. One of the most important ways you can help your child reach a healthier weight is by encouraging him or her to boost physical activity. 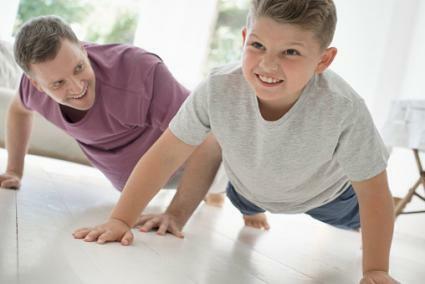 Offer to go walking, jogging, or biking with your child, sign him up for a sport, or offer to do nightly pushups and sit-ups with him. Aim for at least 30 minutes (60 minutes is ideal) of being physically active daily. Encouraging your child in a positive way is essential to avoid plummeting self-esteem and emotional eating. Instead of saying, "You need to lose weight," say, "Let's do some sit-ups and pushups together today," or, "Why don't you join me for a walk outside," or, "Let's both choose veggies instead of chips today." If your child is having a hard time staying motivated to eat right and exercise, help her set nutrition and exercise goals, and offer incentives for meeting these goals. For example, if your child meets a goal of five servings of fruits and veggies daily, offer to take her on a shopping trip, get a pedicure, or go to the beach. If your child meets a goal of no soda, offer to take him fishing, swimming, or to an amusement park. It's sometimes easier for children to make healthy lifestyle choices when their parents are willing to do it, too. Make the commitment (if you haven't already) to live a healthy lifestyle to make it easier for your child to join in the fun and stay motivated.